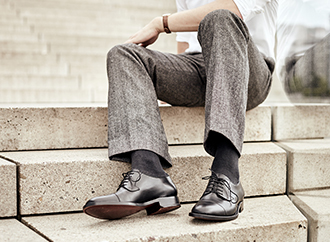 Meticulously Double-Stitched Men’s shoes, made using the double-stitching production method, are striking and sporty. 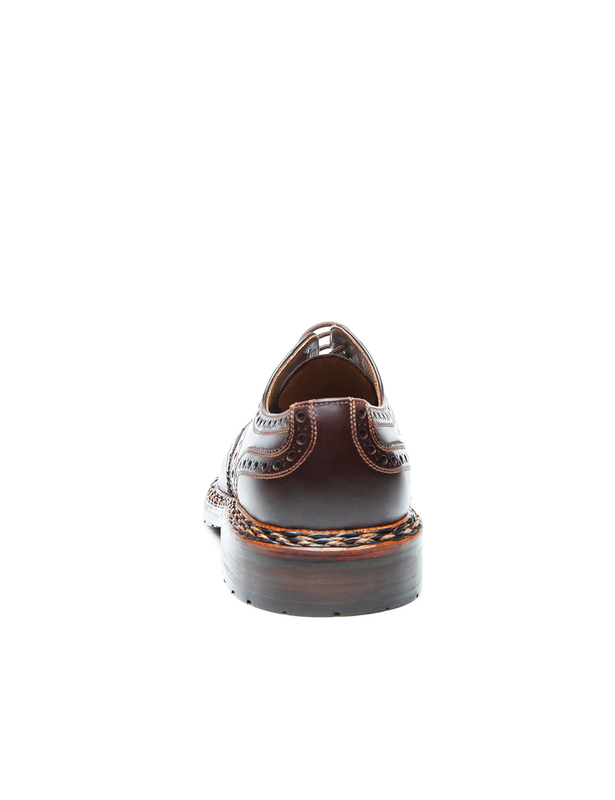 The welt seam runs around the bottom of the shoe. Buda Last – Width G For decades, the Buda last has been used to make typical budapesters. 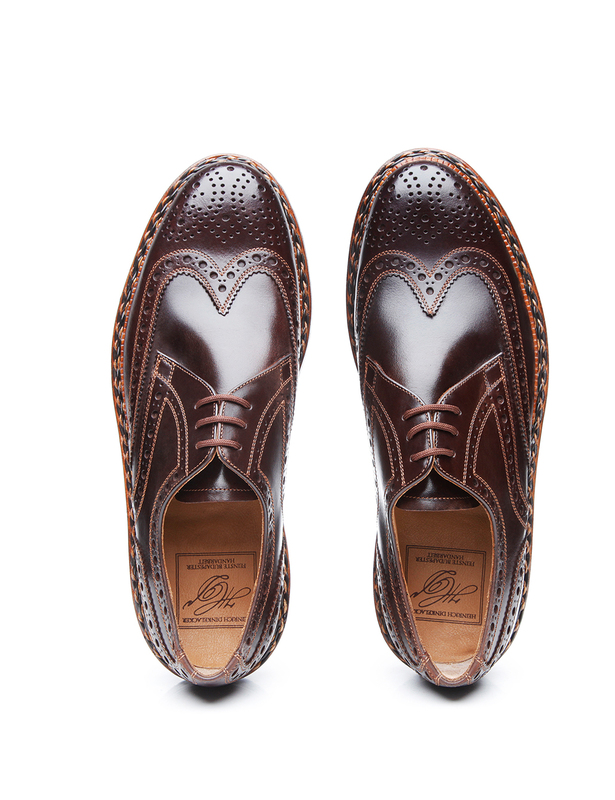 It is rounded at the front to ensure the utmost wearing comfort. 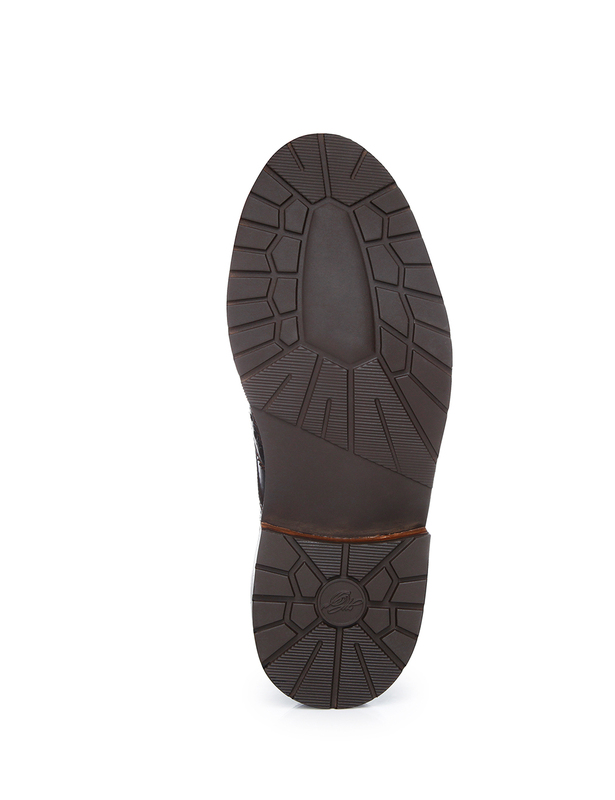 Double Sole with Rubber Lug Tread & Braided Welt A water-repellent outsole with a rubber lug tread reinforces the leather midsole — ideal for cold, wet conditions. 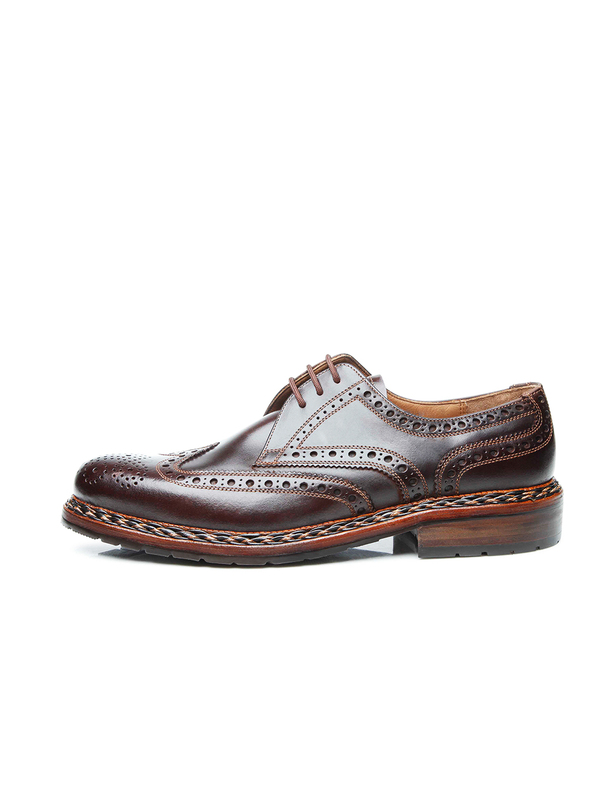 Featuring unique sole construction with leather strips woven into the welt. 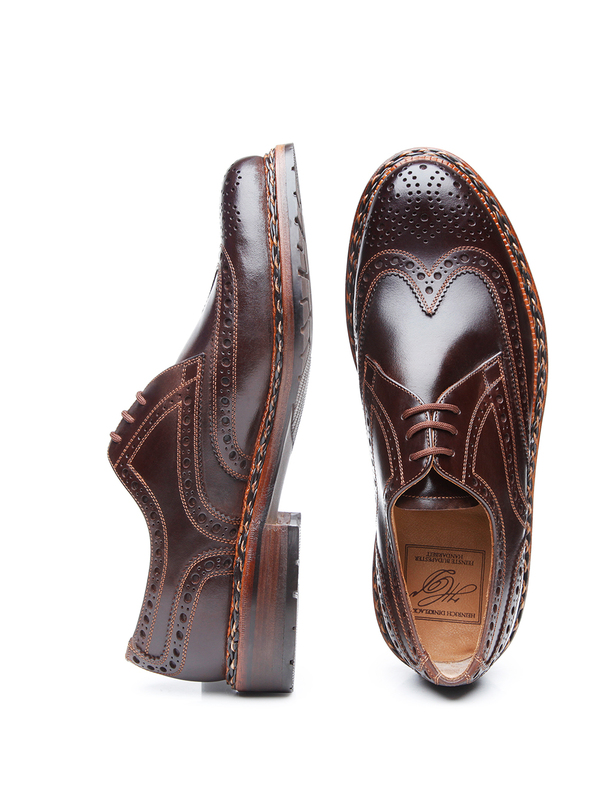 This handcrafted, double-stitched full-brogue Derby in mocha represents a true icon among classic men’s shoes. 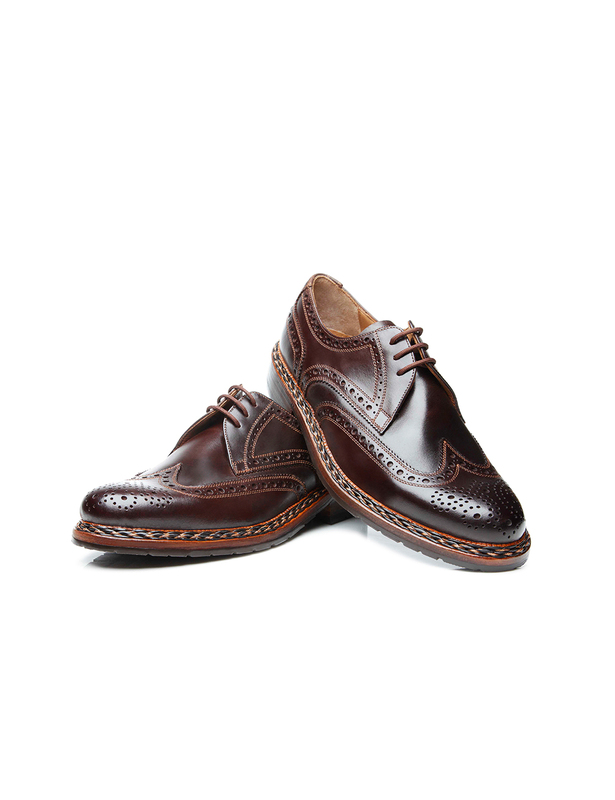 Featuring open three-eyelet lacing and widely known as a ‘Budapester’, this special shoe model is highly popular around the world. 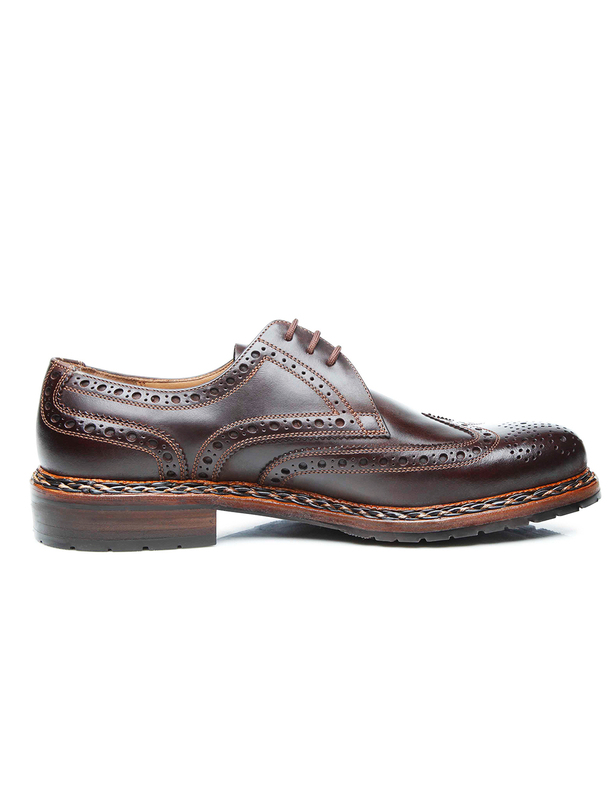 Thanks to the special last from which it is made, it boasts a roomy overall width. 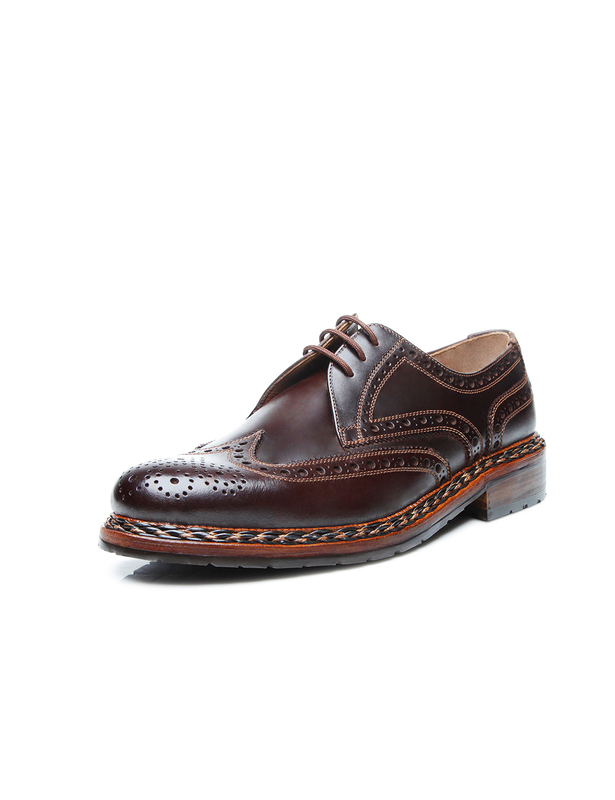 This Budapester is not only distinguished by the lovely perforation on the upper; it also boasts a hand-stitched braided welt and double-stitched assembly. 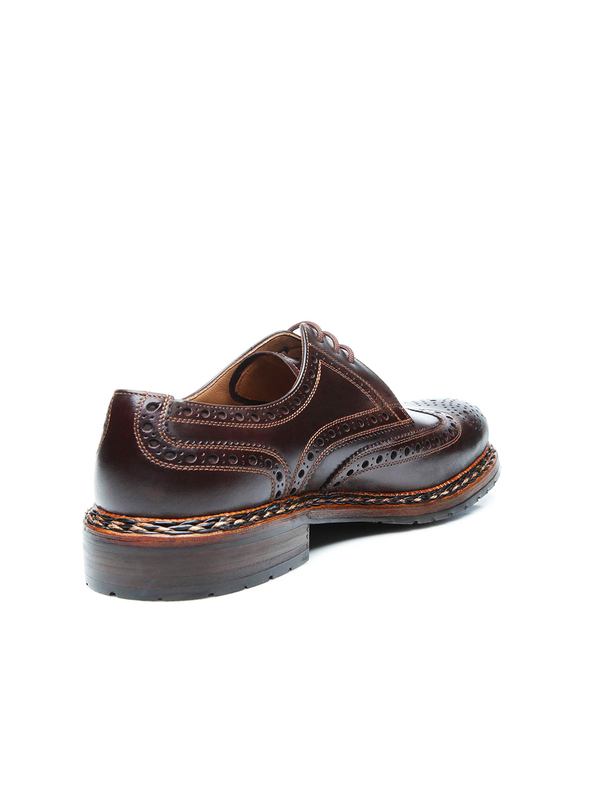 The lovely perforated pattern on its upper hearkens back to the long-ago rural inhabitants of Ireland and Scotland, who first punched these holes into their softened shoes so that they could dry out more quickly after treks through the swampy highlands. 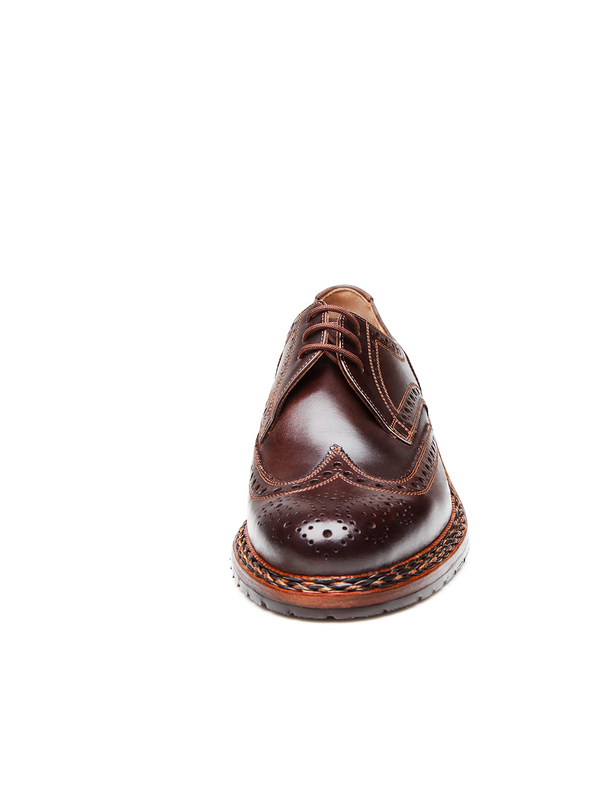 Over time, this perforation came to serve a purely decorative purpose, and lends footwear such as these Budapester men’s shoes a dynamic look. 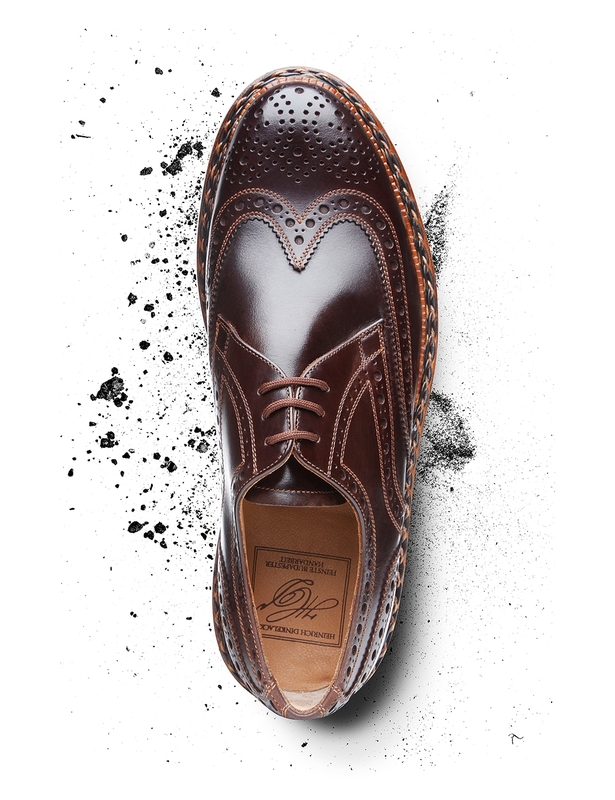 Incidentally, the shaft of this shoe has been made from waxed nubuck that has been treated to make it water-repellent. This material is also highly durable. 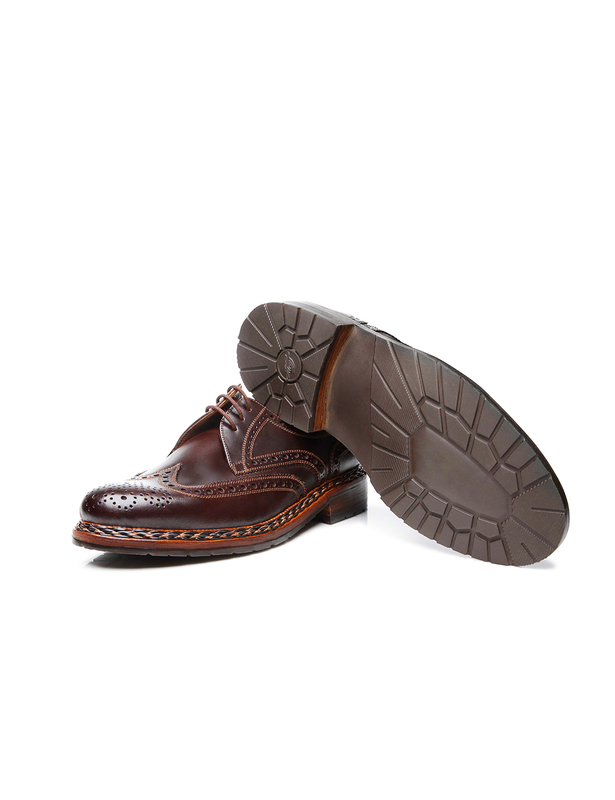 Last but not least, a robust rubber lug sole elevates wearing comfort.